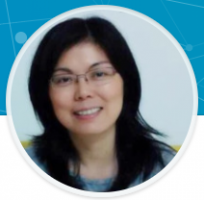 Jenny Jiang, Packaging/Platform Design Engineer, Intel Corp.
Jenny Jiang joined Altera/Intel PSG in 2006, where her primary focus is on high-speed high-performance SoC/SiP/FPGA Silicon/Package/Board co-design and technology development. Prior to Intel PSG, she worked with Lucent Technologies and Big Bear Networks, focusing on package and board SIPI design. Jenny received her Bachelor of Engineering degree at Nanjing Institute of Technologies and Master of Electrical engineering from Ecole Polytechnique de Montreal, Canada. She has authored and co-authored about 30 refereed journal and conference papers and 15 technical patents.